Did you tell people you got a Hair Transplant? just curious to anyone who’s gotten the results they wanted from their HT. did people know or could they tell you had gotten a hair transplant? or did you openly just tell people about it? i’m curious to hear what kind of reactions you have gotten from people that remember you being bald(er) or losing your hair and suddenly they see you with hair once your grafts have grown in. This is a big decision for me, I haven’t gotten mine yet, unless I go for an extended vacation I think I am going to have to come clean about the hair transplant, the holes in the head after the surgery are a dead giveaway that I had something done, I want to know how people hide that from their friends and family. » from their friends and family. exactly which is why i ask how some people are handling it. i’m getting $$$ together to pursue one as well this year and have no clue how i will handle it for work being as i have recently been working in a corporate environment. I kept it a secret from my work, my firends and even my roommate!!! I was able to wear a hat back to work which helped out a bunch! Noe that I am proud of my hair and work for Dr. Armani I have no problem tellign friends. » able to wear a hat back to work which helped out a bunch! how the hell did you hide it from your room mate??? also is wearing a hat (to work) after the HT bad? » (to work) after the HT bad? I asked for extra surgical caps and would wear them around the apartment. The are made of paper and are perfectly fine to wear afterwards. I had told him before hand I was having a minor procedure to have a scar fixed from a childhood accident. So he knew I had “something done” but did not know I had a Hair transplant. I always wore the surgical cap when he was around, so he never saw anything. No big deal. Ofcourse it would look odd if u wear surgical cap to work and people nowadays all know so its not that easy to fool them…i would say a person needs to take 1-2 weeks off and for being absolute secret about it,you gotta wait until scabs and redness go off…nd that can take long!! for redness though u can blame sunburn(but cant say that in winters up north) or inflammatory infection.Redness is an issue esp if the skin is fairer. what i mean to say is that with all the planning you can fool most people but still not all…any guy who has knowledge about HT would probably know. I too have tried to hide the fact that I have had hair transplant procedures done, but in actuality it’s very difficult to do. If you have to return to work and have other obligations, it will be visible. However, my 2 fue procedures with dr. armani were far less invasive and less visible to people than my first strip procedure with another surgeon. 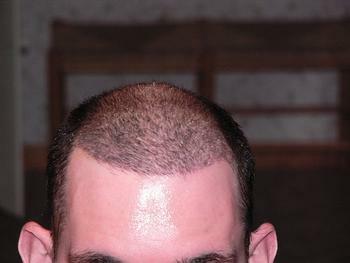 FUE definitely helps a great deal when it comes to disguising a hair transplant. » procedures done, but in actuality it’s very difficult to do. are you saying people are able to detect that you’ve had work done now several months post op or initially when you first got it? DR. Woods. The others only took money and scarred me. BE CAREFUL! I would not agree with this. 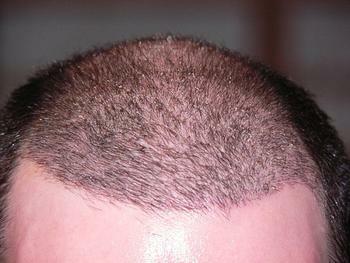 People now a days do not all know about hair transplants. We think they do because we are on these forums all the time and we constantly think about hair and procedures, but the common guy in the office knows very little about this stuff. They do not assume because you are wearing a hat that you had a procedure like we all tend to do. » the office knows very little about this stuff. » like we all tend to do. What kind of hat did you wear to work? I can’t imagine many office environments allowing for headwear ALL the time. I guess it also depends on the extent of the HT. If you got like 1500 grafts to fix a hairline, then you can get away with it pretty easily, but if you had a 5-6k megasession across the top of your scalp, you definitely would have to do everything in your power to hide it if you had no intention of informing people about your HT. » environments allowing for headwear ALL the time. » intention of informing people about your HT. I was lucky enough to be in a work environment that allowed me to wear a baseball cap. This was allowed in my office. » always hated that look. Most people were understanding but not all. » DR. Woods. The others only took money and scarred me. BE CAREFUL! What were their reactions? Were they supportive or did they pass judgment and call you names? you’d be surprised. i was working for an ad agency a few months ago and you could wear whatever the hell you want and i wore a yankees cap everyday. didnt matter. i coulda easily pulled it off while i was there, but i didnt have the money then and that stressful job is gone and so i’m in corporate world now where its not so easy. » » the office knows very little about this stuff. » » like we all tend to do. there’s still a lot of people who dont know about hair transplants, but all it takes is that one dumb @#$ jerk in the office to say “yea, looks like he might’ve gotten a hair transplant or something” and its all over, lol. » » always hated that look. Most people were understanding but not all. » » DR. Woods. The others only took money and scarred me. BE CAREFUL! 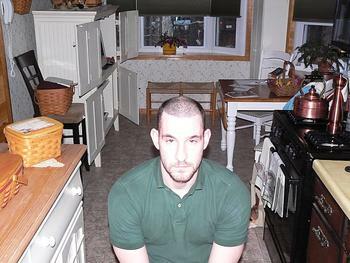 Some were total assholes but most understood that losing hair at 19 is/was devastating. I used to tell the ones that were jerks: “When it happens to you we shall talk but you are not me and I am not you.” Most of these idiots had good hair of course. I suppose I had to develop the FU attitude. Not follicular units.-HA HA! It taught me in life now that I must do what is right for me and to hell with everyone else. Perhaps is sounds harsh but people can be harsh. What is surprising is that most strangers & co workers were more supportive than my family members & some friends-Go figure. Some clinics offer non shaving sessions that would help in the disguise of the procedure. These are often smaller sessions though. Here is how I looked two weeks after my first procedure, just so people get an idea. Also, please remember, everyone will heal differently, but this is how I looked exactly 14 days post op.